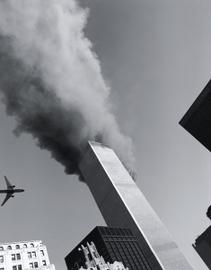 The Presbyterian Publishing Corporation, the publishing arm of the Presbyterian Church (U.S.A.), has joined the conspiracy-mongers and published a book suggesting the September 11 attacks were engineered by the U.S. government and speculates that hidden explosives, not jetliners, brought down the Twin Towers of the World Trade Center in New York. Blindly ignoring that Popular Mechanics consulted more than 300 experts and organizations in an investigation into 9/11 conspiracy theories. In its March, 2005 issue, the magazine published "9/11: Debunking The Myths," refuting the most persistent conspiracy theories of September 11, including the explosives espoused in "Christian Faith and the Truth Behind 9/11: A Call to Reflection and Action" published by the Presbyterians. According to a review available at Amazon.com, and noted by Hugh Hewitt, the Presbyterian published book claims that multiple bomb explosions occurred throughout both towers both before and after the buildings were struck by flying objects demonstrating that the two towers as well as WTC 7 were brought down by controlled demolition. Popular Mechanics scientifically debunked this now tired myth. The National Institute of Standards and Technology (NIST) investigation revealed that plane debris sliced through the utility shafts at the North Tower's core, creating a conduit for burning jet fuel--and fiery destruction throughout the building." Burning fuel traveling down the elevator shafts would have disrupted the elevator systems and caused extensive damage to the lobbies. NIST heard first-person testimony that "some elevators slammed right down" to the ground floor. "The doors cracked open on the lobby floor and flames came out and people died," says James Quintiere, an engineering professor at the University of Maryland and a NIST adviser. "Steel loses about 50 percent of its strength at 1100°F," notes senior engineer Farid Alfawak-hiri of the American Institute of Steel Construction." The conspiracy-mongers also claim that puffs of dust and debris ejected from the sides of the buildings are not possible from a mere collapse, but are evidence of explosions." Once each tower began to collapse, the weight of all the floors above the collapsed zone bore down with pulverizing force on the highest intact floor. Unable to absorb the massive energy, that floor would fail, transmitting the forces to the floor below, allowing the collapse to progress downward through the building in a chain reaction:"
Certain critics question how the Presbyterians, one of the most staid denominations, became entangled in such theories. Although the publishing house is editorially independent from the denomination, its board is elected at the church's quadrennial conventions. "This is as legitimate as pet rocks," said John H. Adams, editor of the Lenoir, N.C.-based Presbyterian Layman. "We are wondering why our denominational press is picking up on something like this. This was written by a process theologian, which is quite alien to reform theology, which Presbyterians believe in. Before the publisher gives the book the Westminster John Knox imprimatur, they should determine the validity of these accusations." 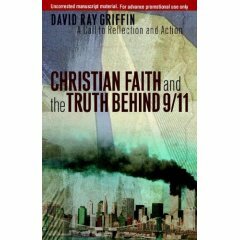 "The views expressed in the book are Griffin's alone," says Presbyterian Publishing Corp. (PPC) Board Chairman Kenneth Godshall, referring to the author, David Ray Griffin, 67, a retired professor at the Claremont School of Theology in Claremont, Calif.
"PPC provides a variety of viewpoints in the books we publish. A few of them from time to time are controversial. This particular book is the work of an independent author and in no way represents the views of the denomination or PPC itself." Yet when you go the the Presbyterian Publisher's website, you first encounter a huge add for the site's "featured book" - Christian Faith and the Truth Behind 9/11: A Call to Reflection and Action. PHILIP RUDDOCK is now Australia's Attorney General.Philip Ruddock is also known as the "Walking Cadaver." The following is an article from the "Sydney Morning Herald"September, 17th, 1996. The Government will cap and kill applications by Australians to bring their overseas spouses into Australia a move which would see long-term separations of married couples unless the Opposition allows through the Senate tough new measures to curb applications. The Minister for Immigration, Mr Ruddock,said the draconian move,allowable under present law but never used in relation to spouses, would help curb huge increases in applications for spouses, some of which were shams, but others 'a fraud on Australians'. Under present practise,applications for offshore spouses to come are allowed regardless of the quota set.Mr Ruddock wants to enforce his quota by a cap and queue regulation, making applicants after the qouta is reached to wait, possibly for months, until heading the queue for next years intake. But in the face of Labor opposition in the Senate, he threatened to use his general cap and kill power to terminate applications made post-qouta.This would force Australians to apply again next year on equal terms with next year's applicants, causing indefinite separations. Mr Ruddock's threat, which contradicts the Coalition's strong pro-family rhetoric but is part of a clampdown on migration numbers,was denounced by Labor's immigration spokeman, Mr Duncan Kerr, as social engineering. The Opposition last week knocked off in the Senate one of several changes to regulations to tighten elegibility for 'preferential family' migration,available to spouses and aged parents.Mr Kerr told the Herald Labor would also disallow Mr Ruddock's 'cap and queue' regulation. Mr Ruddock told the Herald that if people who had already applied were allowed in,the progam would overstep this year's 36,700 quota by about 13,000.Rather than allow an overshoot, he would use his general power under current law to cap and kill,unless Labor stopped trying to micro-manage his immigration program by disallowing regulations in the Senate. Mr Kerr said that 'Australians have always exercised their own choice on who they'll marry,and I don't believe any red-blooded Australian will allow the Government to force couples to queue up to live together.Now he's saying if he can't queue them he'll cut them off. Mr Ruddock said he did not regard cap and terminate as the best outcome, but if it is necessary I will be applying it. He said Labor had maintained a steady 37,000 quota for four years,before lifting it last year to 50,000.Many people had reported partners 'walking out the door as soon as they arrive in Australia.' 'The fraud is being occasioned on Australians by people seeking to migrate,' he said. Mr Kerr blamed the increase on the wash-up of the Tiananmen Square massacre,under which Labor granted 40,000 Chinese people refugee status.But Mr Ruddock said there rises in applications accross the board, and the percentage increase was as great in England." JOHN HOWARD-The Lying Rodent.John Howard wants free trade but not the free movement of people.He thinks Australias biggest assets are its sheep, coal and uranium not people.He says he has the final solution to our problems "Too many people." "Philip Ruddock gazetted regulations when he was Australia's immigration minister[number S241 of 1997] to stop visitors from many countries coming to Australia and among them is Poland. [Israel is also on the list as well as the following countries-Bangladesh, Burma, Cambodia, Chile, China, Colombia, Croatia, Cyprus, Czech Republic, Egypt, Fiji, Greece, Hungary, India, Iran, Jordan, Lebanon, Macedonia, Mauritius, Nauru, Pakistan, Peru, Philippines, Portugal, Romania, Samoa, Slovakia, Sri Lanka, Syria, Tonga, Turkey, Ukraine, Uruguay, Vanuatu, Vietnam and Yugoslavia]." Engineering News Record has an exhaustive survey of the collapse mechanisms. covering half of the truth, which turns it into a limited hangout. Same to the Vanity Fair-NORAD negligence hangout.